PA President Smells Weakness…But Where? Because it is apropos I am again quoting the famous Jewish historian, Abba Eban with the same quote. He famously said, concerning the incredible tendency of our Arab cousins to consistently do the wrong thing at the wrong time in their struggle with modern Israel,“they never miss an opportunity to miss an opportunity”. Palestinian Authority President Mahmoud Abbas has decided that now is the time to get tough with Israel and perhaps try to influence/test the new US President for the Palestinian agenda. He rejects any call to recognize the legitimacy of Israel as a Jewish state. He insists that Israel must be defined by the original boundaries established by the UN in 1948. He also asserts that there must be a complete freeze on all settlement building and expansion in Judea and Samaria (what the Arabs call the West Bank) before he will even consider beginning any peace talks. Of course this drew an angry response from Israel. Likud MK Ofer Akunis was quick to express the Israel’s frustration by saying, “This is more evidence that the Palestinians are not interested in true peace with Israel.” Who can blame Israel for feeling this way? Interestingly, Abbas goes on to urge the US and its new President Barack Obama to push Prime Minister Netanyahu and his new government to accelerate the peace process. Abbas just finished laying down at least two, maybe three demands that are absolute peace process deal killers as far as Israel is concerned and then he calls on the US to accelerate the peace process? Why is PA President Abbas doing this now? In my opinion it very well could be that he senses that President Obama is either weak, inexperienced, sympathetic to their cause or all three. While he could be wrongly reading Obama, he obviously believes that if he takes a hard line concerning even starting peace process, that he can extract more concessions from Israel. What makes Abbas feel he can influence/manipulate Obama? Abbas, I believe, has drawn an accurate conclusion that President Obama is a very ambitious man. 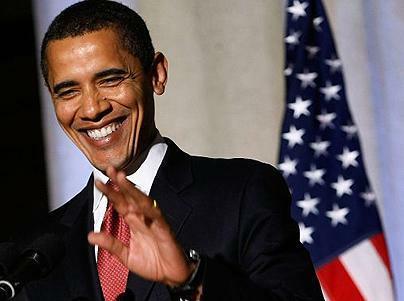 He believes that Obama is anxious to make his mark on the world by accomplishing great things on a global scale. Obama sees a comprehensive Middle East peace a great way to do something no other President or world leader has been able to accomplish up to now. Consequently, Abbas may feel that if he makes enough negative noise that Obama will pressure Israel that much more to make concessions in order to get the peace process started. The stakes are high for Obama. If President Obama cannot succeed in getting the peace process started then he risks looking increasingly weak and impotent on the world stage and that just will not do for this President. 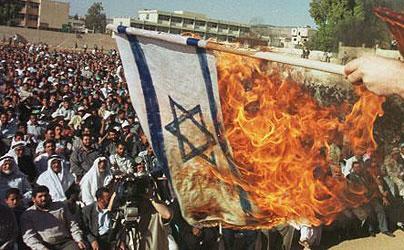 I believe that PA President Abbas senses this and is playing the Middle East card game with this supposition in mind. Of course Abbas may be wrong and so could I…but this prophetic scenario I guarantee you.. is going to get very interesting!